February 14, 15 & 16, 1957. 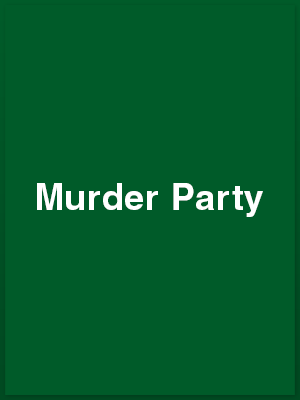 The trouble with Murder Party, produced by the Young Wick Players at the Barn Theatre, Southwick, last week-end is its painful clichés in plot and incident. The characters who people it do not exist except in a hundred other such cleverly-written plays, which are slowly throttling the amateur stage life as a useful social force, apart from filling in an evening or two. Alike, they mouth the same hot irritations, draw the same “red herrings” and invoke the same set of emotions that range narrowly from explosive accusations and recriminations to downright whimsy. It is not good drama, nor can it be easily mistaken for good theatre. One must assume that it is nothing more than light relief and then ask oneself, “From what?” On this basis the Young Wick Players definitely had the talent and scope to interpret it successfully as good entertainment without over- reaching the limits of an earnest and hard-working group of amateur players. The acting had its good moments. Its bad moments, one felt, could have been blamed on the restrictions of a small stage, for occasionally the movements of the cast were either not smooth or not there at all. But one point that became more obvious as the play wore on was the slight lack of expressiveness in gestures. A shrug of the shoulders should convey infinitely more meaning than a line boomed across the footlights with an amplifier. The three main characters interpreted by Derek Wass, Diana Topping and Seamus McGurk, and Mary Gedge as the wronged Norwegian maid never once let her accent slip. The villain of the piece [he was also the murder victim] was played in good, menacing style by Patrick Johnson, and Adrian Hedges gave excellent support as another character involved in shady dealings. Ralph Dawes who designed and executed the scenery, had a difficult part as the altogether false representation of a Scotland Yard detective who extracted confessions with methods for from ethical. Nevertheless, he sustained the pace demanded of the part. Sally Rossington and Joe Mohan were competent as the drug-addict and detective’s adviser, and Patricia Holloway and Jacqueline McInnes managed to raise the laughs they were supposed to raise at tense stages in the plot. The play was produced by Betty Gedge. The Government’s Capital Punishment Bill is creating a problem in the amateur theatre. Where crime plays are concerned, producers will have to cut old-time lines like “You’ll certainly hang for this,” to bring stage murder up-to-date. This thought did not, apparently occur to Miss Betty Gedge when producing Murder Party, for the Young Wick Players at the Barn Theatre, Southwick. Nevertheless, she succeeded in providing and exciting and entertaining evening for whodunit sleuths. In exploiting the idea of turning pretence into grim reality the author [Falkland L. Carey] uses a well-known party game as his death gimmick. When the guests play murder the ‘victim’ ends up as a corpse. Excellent team-work by a talented cast evoked just the right atmosphere of misleading gaiety in the first act, and there was smooth performance by Seamus McGurk as the reluctant host. Diana Topping was the pretty little wife emotionally involved with a blackmailer, and the contrasting characters of the party guests were deftly drawn b Patrick Johnson, Adrian Hedges, Sally Rossington, Patricia Holloway and Joe Mohan. Mss Rossington certainly knows how to act. Her nervous hysteria was completely convincing. Special praise is also due to Ralph Dawes for his self-possessed playing of the man from Scotland Yard and to Derek Wass for his dignified portrait of Blossom, the butler. Mary Gedge, too, did well in the small but significant part of a Norwegian maidservant, and the few moments of comic relief were nicely contributed by Jacqueline McInnes [ in dressing-gown and curlers] a the deaf cook.